Parents of newborn babies can get the peace of mind and rest they deserve by using a Liquid Crystal Display or LCD baby monitor. These devices are actually highly specialized digital video security and surveillance system devices designed specifically for monitoring babies and even young children. They offer the flexibility of operating as a standalone device or being tied-in to a larger whole-house digital video security system. Most LCD baby monitors also have the versatility to be used just about anywhere inside the home, not just in the nursery or baby's sleeping area. Parents of newborn babies can get the peace of mind and rest they deserve by using a Liquid Crystal Display or LCD baby monitor. These devices are actually highly specialized digital video security and surveillance system devices designed specifically for monitoring babies and even young children. They offer the flexibility of operating as a standalone device or being tied-in to a larger whole-house digital video security system. Most LCD baby monitors also have the versatility to be used just about anywhere inside the home, not just in the nursery or baby’s sleeping area. 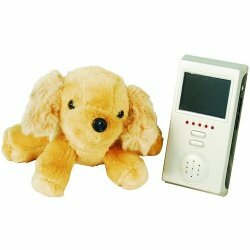 An LCD baby monitor that is part of a larger whole-house digital video security system is usually a camera placed in the baby’s room and aimed at such an attitude as to capture the baby while sleeping and/or awake. The camera may be permanently mounted and connected to the system’s Digital Video Recorder or DVR unit by a video transmission cable or wirelessly. Standalone LCD baby monitors are probably more popular than typical system monitors. By marketing standalone LCD baby monitor units, the user is not required to purchase an entire full-size system, thereby reducing the total cost tremendously. In addition, the camera contains a built-in wireless transmitter that sends the digital video signal via radio waves to a corresponding wireless receiver built into an LCD monitor. A wireless standalone LCD baby monitor is one of the more versatile types, as it allows for easy repositioning of the camera from one place to another within a room or from one room to a different one. In addition, the wireless LCD monitor provides the convenience of portability so that the parent can monitor the baby from the kitchen, living room, parent’s bedroom or anywhere else in and around the house. Most wireless LCD baby monitors operate from power supplied by batteries, either one-time use or rechargeable, both in the camera and the monitor devices. Of course there are models available that can also utilize household power outlets as well. Another option that comes with many LCD baby monitors is a night vision infrared camera. The sensors used to convert the light images into electronic video images in digital video cameras are inherently sensitive to infrared light in the near infrared spectrum. During the day, these cameras produce high quality color video images and at night or in darkness, they produce a high quality black and white or monochromatic video image. The night vision infrared LCD baby monitors with infrared LEDS are quite a blessing to parents and other caretakers because although the camera sensor can “see” the infrared illumination just like visible light, the illumination is invisible to the human eye. This means the baby can be monitored in total darkness under infrared illumination without ever being disturbed by the light! Generally, most infrared LCD baby monitors will require a house current outlet for power supply, because the power demands are higher since the camera also must furnish the electricity for the LEDs. These cameras are readily available in a variety of different types and styles for whole-house type digital video security systems, but may be a little more difficult to obtain in the standalone battery-operated design. Finally, since today’s technology allows for camera units to be manufactured in such small sizes, an LCD baby monitor camera can easily be disguised as something else so as not to frighten or disturb the baby or young child. 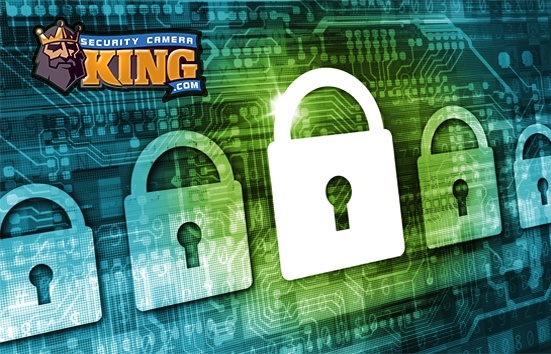 For example, check out Security Camera King’s “2.4 GHz Wireless Dog Baby Monitor Camera” product number HC-BBMNT-GC under our “Wireless Hidden Cameras“. This camera even includes a microphone to record audio. If you have any questions about an LCD baby monitor or are considering purchasing an LCD baby monitor unit, contact one of our security experts today via “Live Chat” or toll free telephone at 866-573-8878.